There are many different opinions about the Global Warming Theory. Some Democrats concede that man-made pollution has contributed to the earth warming over the past 100 years; whereas, some Republicans suggest the scientific evidence is inconclusive. GrantNews.press, the premier newspaper for nonprofit and business leaders, is where these differences may be set aside. Despite what you may or may not accept, both political parties believe in sustainable growth, or infrastructural growth that the environment can sustain. GrantNews.press is a platform on which your environmental agency or nonprofit can share stories about what you do to preserve the environment. At GrantWatch.com, you will find countless grants for the environment ranging from support for water quality to conservation of viable agricultural land. If your organization has an upcoming event, post a press release for the event. Our copy writers will re-work it as an article and you will receive free promotion! Plus, more people will become aware of your cause. 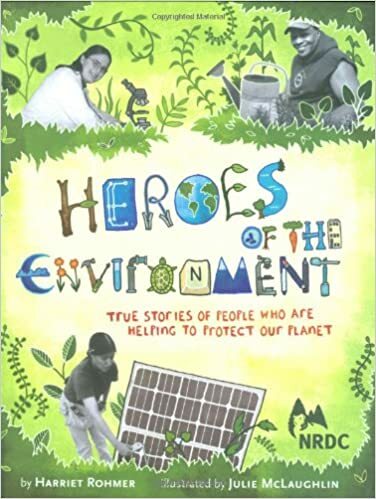 If you’re looking for inspiration for a new project, or want some insight into what others have accomplished, check out the following book: Heroes of the Environment: True Stories of People Who Are Helping to Protect Our Planet by Harriet Rohmer. In this book, learn about some incredible people and the changes they made in their communities to help sustain the environment. GrantNews.press is the premier newspaper for nonprofits and small businesses. At the site, you can learn about the trials, tribulations, and successes of other organizations and programs. Make your organization a part of the conversation! There is no subscription necessary to the newspaper, and submitting written material is free. Just sign up as a writer and see where the pen takes you and your cause! About the Author: GrantNews.press Staff Writer writes for GrantNews.press, GrantWatch.com and its affiliates. Diet pills are just as dangerous as they are wildly popular. Phentermine, one of the most popular diet pills on the market, has been associated with heart palpitations and other negative side effects. The struggle for weight loss is so great, that teenagers ignore the warnings and suffer long term health effects. The safest way to lose weight is to eat smaller portions, watch what you eat, adhere to good nutrition and increase physical exercise. According to the 2015-2020 Dietary Guidelines for Americans put out by Nutrition.gov, the food groups include vegetables, fruits, grains, dairy, protein foods, and oils. Although vegetable intake among adults ages 18 or older is higher than that of adolescents, it is still below the recommended intake. (If you’re curious to know which vegetables are most popular, they are potatoes and tomatoes). Across the board, data shows that the average intake is always below the recommended weekly intake ranges, for almost all types of vegetables in almost all age groups and genders. Nutrition.gov suggests strategies to help increase the amount of vegetables consumed. For example, include increasing the vegetable content of mixed dishes that have vegetables; choose a green salad or vegetable as a side dish; and incorporate vegetables into meals and snacks. Children respond to color in their food. Instead of associating artificially flavored foods with color, help children associate healthy foods with color. As we know, fruits and vegetables come in a variety of colorful shades. The deep green hues of leafy vegetables can be complemented by vibrant red tomatoes. Desserts may display a rainbow of bright, attractive colors, such as in fruit salads and platters! There are plenty of great ideas for healthy dishes to develop fit eating habits! If you have an organization that wants to develop a health and wellness program to promote health in your community, showcase your work at GrantNews.press. It is the premier newspaper and platform for nonprofits, businesses, organizations, and individuals alike to share their experiences, successes, and wisdom. 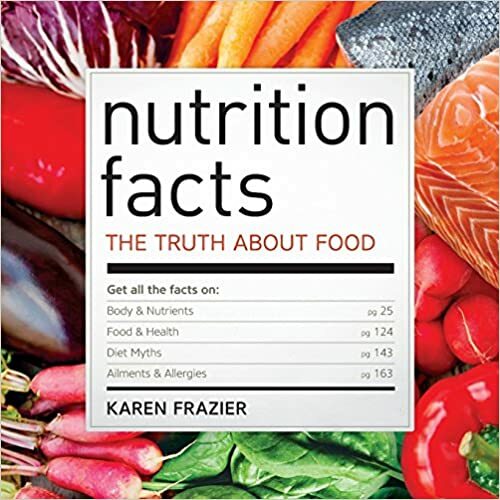 To help guide your program, consider using this book: Nutrition Facts: The Truth about Food by Karen Frazier. This book discusses nutrition through figures and data. From the book, you will learn about diets and nutrition regimes as well as the importance of nutrients. As a nutrition-oriented nonprofit or organization, share your story on GrantNews.press. You will inspire the work of other organizations across the United States. By writing about your organization’s successes and failures, you could help another organization navigate the nonprofit community with new ideas and better results. All you have to do is go to GrantNews.press and sign up as a writer. After signing up, plan your article by entering in all the information. Then, pitch your article! Our copywriters and editors will review your work and publish an edited version. Once published, you can socialize your work so other nonprofits, organizations, and individuals can support your cause, learn from your experience, and, most importantly, share it with more people! About the Author: Sabeen is a Masters in Public Health student. She is currently writing for GrantWatch.com and its affiliate websites.